Did you know that February is one the best months to go whale watching on the West Coast of Puerto Rico? 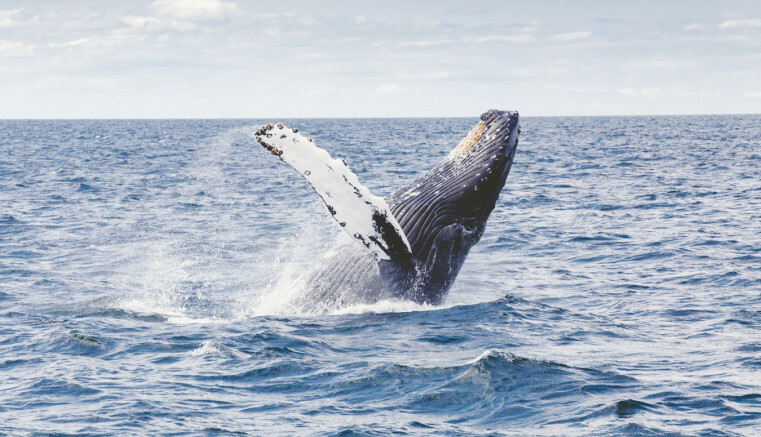 Humpback Whales migrate through the Mona Passage from the months of January to March, and if you’re lucky enough, you might just be able to see one breach. These whales can grow to as large as fifty feet and their tails can span the length of twelve feet. There are only around 15,000 left in the entire world, which makes their sighting extra special. A popular whale watching spot on the island is Ríncon Lighthouse. Be sure to arrive early because you will not be the only one with whale watching on your mind, the park tends to fill up fast during the whale migrating season. If you’d like a slightly more intimate experience, whale watching charters are available every day from any of the West Coast cities in Puerto Rico!